What happens when the LDS Prophet Becomes Mentally Incapacitated? When the Mormon prophet is mentally diminished, that is a personal tragedy. For these men to be stricken with mental confusion after a lifetime of dedication to the church is an existential crisis for believers like me. But institutionally it is a nightmare and can be a challenge to the faith of millions (Ibid). Sixteenth President Thomas S. Monson died on January 2, 2018. In his last few years of life, Monson was involved in a battle with the Alzheimer’s Disease that plagued him. A few years ago, Monson spoke at a temple dedication session where he confusingly repeated the same story three different times. The incident was broadcast live on a satellite feed to congregations all over the world. President Monson is 87. It’s natural that he and others in church leadership are feeling the effects of advancing age. However, he spoke publicly at General Conference [last] month and attended all the meetings. He comes to the office every day, attends all First Presidency and committee meetings, leads the discussion and makes decisions (“At 87, Mormon leader Thomas S. Monson ‘feeling the effects’ of his age, LDS Church says,” Salt Lake Tribune, May 1, 2015). In a October 2015 general conference talk titled “Be an Example and a Light,” Monson struggled and at one time forgot what he was supposed to say as he attempted to finish the 13-minute talk. (Just a few years before his talks were typically 18-22 minutes in length.) To watch this talk, go to the bottom of this article. Notice how his voice changed midway through his presentation as he looks confused. His two talks at the April 2016 conference were scaled down to an average of 4 minutes each, as his handlers knelt behind and beside him as he spoke from the conference pulpit. When he was finished, the lights were dimmed and he was helped back to his seat. At the October 2016 conference, Monson’s two talks were each 4 minutes 40 seconds, though it was evident he was focused on the teleprompter while slurring many of his words. For those who had watched the president speak over the years, it was clear that his demeanor had completely changed. Each of his two talks in the April 2017 general conference lasted less than four minutes. A month after that conference, church officials announced on May 23, 2017 that Monson would no longer attend leadership meetings or make future public appearances “because of limitations incident to his age.” He was conspicuously absent from the October 2017 general conference before passing away a few months later at the age of 90. 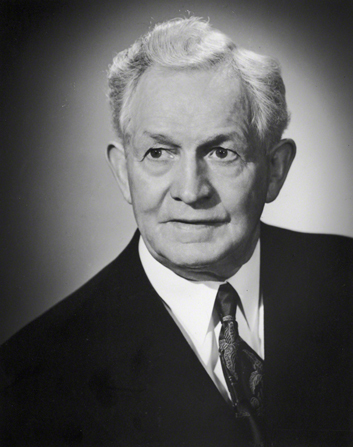 Another president who had debilitating health issues was ninth President David O. McKay, who was 96 when he died. 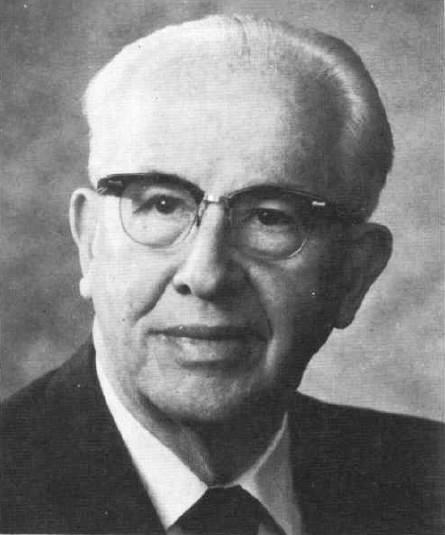 According to Quinn, McKay had a short-term memory loss and “would forget within minutes after a decision was made.” In 1970, Joseph Fielding Smith became the LDS president at 93, suffering from confusion and memory loss until he died in 1972. Spencer Kimball became the twelfth president in 1973 at the age of 78, later becoming incapacitated mentally after suffering a subdural hematoma in 1982. He remained in this state until his death in 1985. News photos of counselors helping him [Benson] to wave or hold a shovel are deeply distressing.” In order to “perpetuate the myth,” the Salt Lake Tribune reported that Benson’s “photo sessions are managed closely to make the president appear younger and more vigorous. The church bureaucracy—including the president’s counselors—recycle earlier speeches, Christmas messages, and even photos to complete the portrait (January 16, 1993, C-2). Along with others, Anderson would like to see aging prophets be allowed to retire “so the LDS Church can continue its business.” Criticism of LDS Church policy and doctrine led to the excommunication of Quinn and Anderson in September of 1993. In what was believed by many to be a “purge” encouraged by Apostle Boyd K. Packer, four other outspoken dissidents were also disciplined at that time. President Benson’s grandson, Steve Benson, resigned from the LDS Church in late 1993, accusing church leaders of “destroying the spirituality of the very souls of its members” and of purposely misleading the Mormon people concerning the prophet’s health (Salt Lake Tribune, “Grandson of Prophet Asks to Be Removed From LDS Church Rolls,” October 12, 1993, D-1). A Pulitzer Prize-winning editorial cartoonist for the Arizona Republic newspaper, Benson decided to speak out when his thirteen-year-old son asked him, “Dad, why do they call him prophet when he can’t do anything?” Benson said it had been some time since his grandfather could participate in church affairs, “although that is an image that people deeply, almost desperately wanted to believe” (Salt Lake Tribune, July 10, 1993, p. E-3). I believe the church strives mightily to perpetuate the myth, the fable, the fantasy that President Benson, if not operating on all cylinders, at least is functioning effectively enough . . . to be regarded by the Saints as a living, functioning prophet (Salt Lake Tribune, October 12, 1993, D-1). No person except the chosen prophet and President can receive God’s will for the entire membership of the Church. The Lord said, ‘There is never but one on the earth at a time on whom this power and the keys of this priesthood are conferred’ (D&C 132:7) (p. 41. Also see Teachings of the Living Prophets Student Manual Religion 333, p. 20). The Latter-day Saints hold as a principle of their faith, that . . . the President of the Church is recognized as the only person through whom divine communication will come as law and doctrine to the religious body; that such revelation may come at any time, upon any subject, spiritual or temporal, as God wills; and, finally, that, in the mind of every faithful Latter-day Saint, such revelation, in whatsoever it counsels, advises or demands, is paramount (Ellipsis in original). Eighth President George Albert Smith added “that the President of this Church has been officially designated as the pilot of the Church here in mortality to represent the Master of heaven and earth” (Teachings of Presidents of the Church: George Albert Smith, p. 116). If the president of the church is the “only person through whom divine communication will come” and his counsel is “paramount,” what happens when he becomes mentally incapacitated? And should it be a concern to Latter-day Saints that the current LDS leadership continues to get older? While Monson will be replaced with 93-year-old Russell M. Nelson, a former doctor who appears to have decent health for a man of his age…and yet, still he continues to inch closer to the century mark. Imagine if Monson had died just a few years earlier. The next two senior apostles at that time–Boyd K. Packer and L. Tom Perry–were both in their 90’s and had such poor health that there is no way that either of them could have done any reasonable job at running the 16-million member church. However, these two passed away before they had the chance to become the president. If either of them were still living, though, this certainly would have caused an awkward situation for the church’s hierarchy. Imagine putting a man into the presidency whom everyone knows is nowhere close to capable in filling the bill. After Nelson, the next two men in line for the highest position in the LDS Church are octogenarians Dallin H. Oaks (b: 1932), M. Russell Ballard (b: 1928), and Henry B. Eyring (b: 1933). It s not until fourth-in-line Jeffrey R. Holland (b: 1940) that there is a potential successor under the age of 80. After Holland is fifth-in-line Dieter F. Uchtdorf (b: 1940). Perhaps the man who has the best chance to serve a lengthy presidency may be sixth-in-line David A. Bednar (b: 1952) who was ordained as an apostle in October 2004 just five days after Uchtdorf was sustained. He is more than a decade younger than the two men preceding him, though he is someone who has not been very prolific or charismatic in his position since he became an apostle in 2004. By elevating the longest-serving apostles to the heights of power the LDS Church finds itself constantly led by extremely elderly men in the very twilight of their lives. Normally these men have severe physical limitations and can hardly provide what would be called dynamic leadership. This has surely played a part in the decline of Mormonism–not a decline in sheer numbers, but in its growth rate and surely its cohesiveness. Mormonism is a religion wandering about without guidance and direction, its past catching up, its future uncertain. The back door has become as large as the front, to be sure. The [LDS] church typically does just that for members of the First Quorum of the Seventy when they reach 70. LDS blogger John English, a technical project manager in Utah, has proposed making apostles emeritus at age 90. However, the church statement that was released in 2014 said no changes in their policy is forthcoming. “Emeritus status is not a consideration for the First Presidency and Quorum of the Twelve,” it read (Salt Lake Tribune, May 1, 2015). There has been no movement, at least publicly, since that time to change the way presidents/prophets are appointed. One thing is for sure: If the LDS Church remains steadfast on this issue, the church will certainly continue passing time in a holding pattern while everyone waits for the older men to pass away and a younger man like Bednar is able to succeeds the throne. For more on church leaders, click here.